This year was more fun than last year. Not cause she really GOT what Halloween is, but because she could walk and talk a little bit and actually participate and have fun. 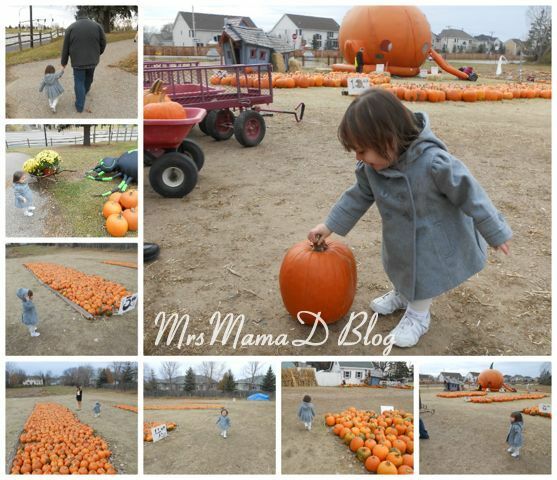 The weekend before Halloween, we stopped at a local pumpkin patch and she helped us pick out her pumpkin. 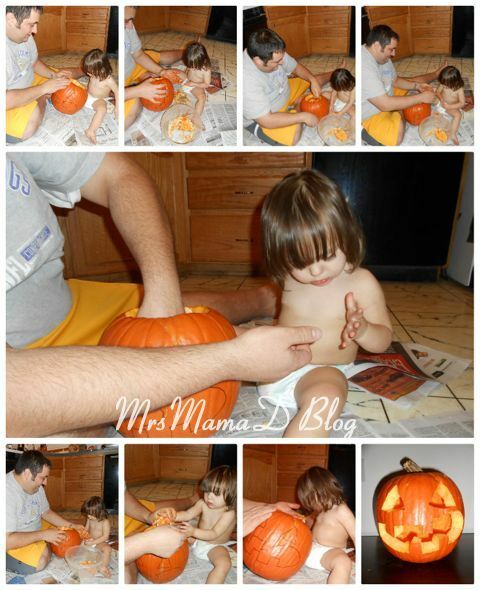 Being the great Daddy that Wayne is, he got on the floor with her and "helped" her carve her pumpkin. She didn't know what to think about the messiness of the pumpkin and after about 5 minutes of trying to help take out the guts, she was NOT interested anymore. Such is life with a toddler, right? Hailey was a cupcake for Halloween. I found the costume at Old Navy. You never know the weather in Minnesota, so it was perfect for the chilly October night. First we stopped at our next door neighbors, then we went to Grandma Kimmy's house and then we went to Grandma Karla and Papa's house to visit. 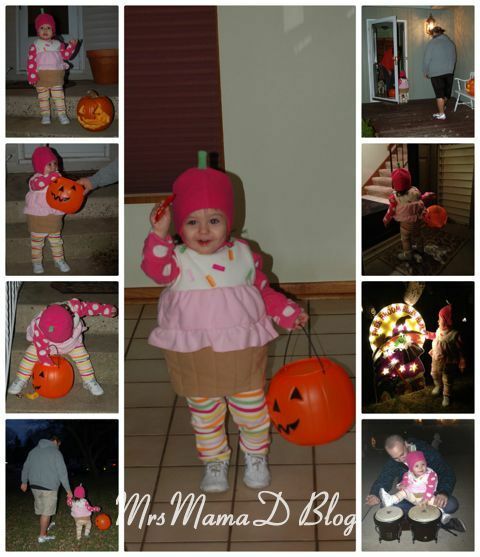 So busy, but she loved saying "Trick or Treat" and was such a ham. She thought it was so cool that there was candy in her pumpkin. It was a great night seeing everyone and I look forward to so many more with her!